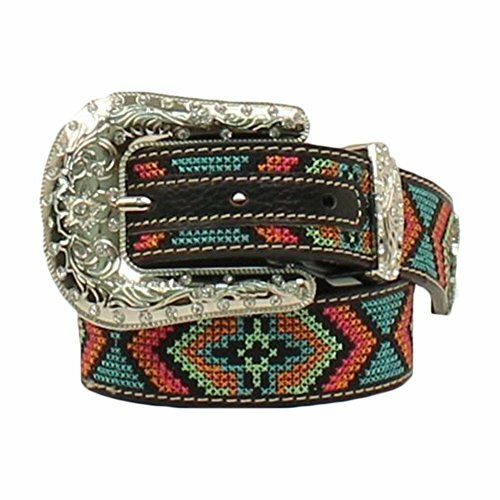 This great Nocona girl's belt by M&F Western Products features a leather strap with a bright, multi-color stitched design and rhinestones highlighting the buckle and tip. It also has three piece buckle set. Width 1 1/4''. Material: Leather. If you have any questions about this product by Nocona, contact us by completing and submitting the form below. If you are looking for a specif part number, please include it with your message.